Here’s Wicker Stripe by Celerie Kemble for Schumacher. 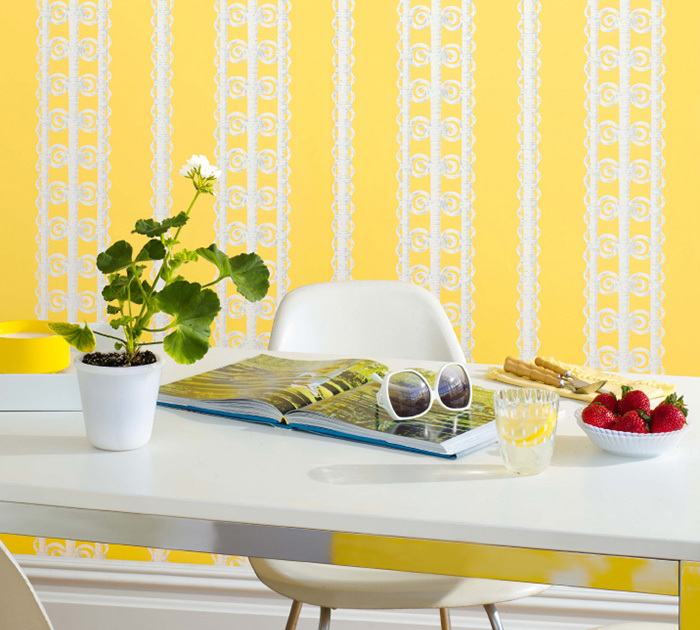 We are loving the bright yellow in this pattern that is a gorgeous combination of vintage and modern. Imagine the positive energy this pattern could bring to your breakfast nook or office space! Are you pinning with us? – join us on Pinterest! CLICK HERE to find out about custom wallpaper installation in your home!